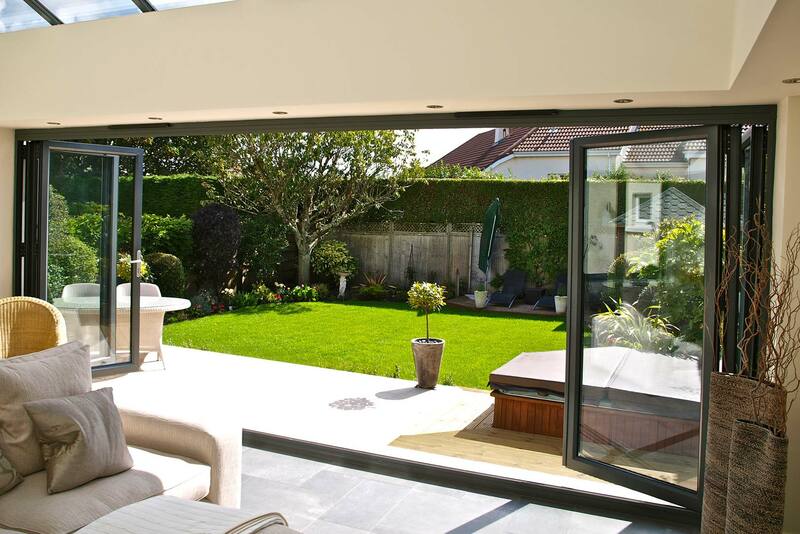 Bifold doors are the designers’ choice for a modern new look for homes today. They are practical and efficient, giving a feeling of more space as well as instant access to the patio or garden, allowing more light and air into your house. Camberley Glass and Windows has been selling and installing bifold doors in Ottershaw and the surrounding area for many years. We are a trusted local company which has been in the glass and glazing business for almost 50 years, continuously building on our reputation for good honest service, which is why much of our business comes from personal recommendation. You can see the testimonials on our website and also our high ratings on Checkatrade. In addition we are an approved trader on the list of Buckinghamshire and Surrey Trading Standards Approved traders. We are able to provide an extensive range of bifold doors in different materials, colours and textures. The doors supplied by Camberley Glass and Windows are manufactured to exceed British Trading Standards which means that there will be minimal heat loss and maximum noise exclusion with the added benefit of a high level of security. All our bifold doors are fully guaranteed. We are fully qualified in all aspects of current requirements and regulations and our installation team is FENSA registered. You can be assured of receiving the best advice and attention to detail should you chose Camberley Glass and Windows for your bifold doors. If you would like to visit us, our showrooms at our offices in Camberley, Surrey, display a range of products which you could browse. You could also pick up some brochures and chat to our friendly advisers who will be happy to answer any questions.